Sometimes it makes more financial sense to give up your home and walk away. Here are a few options to use the foreclosure to your advantage. The advantage to living in a home that is in foreclosure is you are not making any payments. Use this time to save money and take your time when finding a new place to stay. 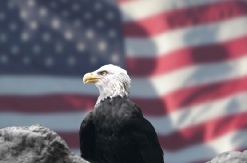 Depending on the state you live in you usually will have 6 months to a year without payment. 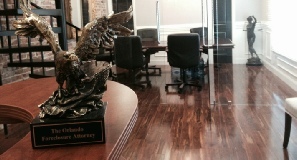 If you hire a foreclosure defense attorney, your time can be vastly extended. Example: John Doe loses gets a pay reduction at his Florida job and is no longer able to make his $3,500 a month mortgage payment. He is able to save $2,250 a month toward a down payment on another home. Even if he decides not to hire a lawyer he has a minimum of 6 months before he is forced to move out. He is able to save $13,500 to use as a down payment on a new home or rent. There are times when walking away from your home makes more sense than fighting to keep it. Other times foreclosure is simply going to happen no matter what. If you just can't find a way to make your payments. 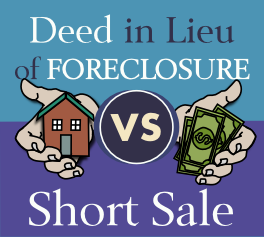 There are usually two emotions that are associated with foreclosure. There is often a great amount of stress involved when your home goes into foreclosure. It's understandable because you know you will eventually have to leave. Some people find this unbearable so they pack up and move somewhere else. Know that you are legally permitted to continue living in your home even though it is in foreclosure. You own the home until it is legally sold at auction. It’s still your home and nobody can evict you until it’s sold. 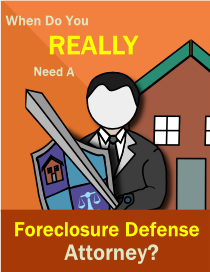 There is an eviction paranoia that occurs when a homeowner is in foreclosure. Nobody wants to be kicked out of their own home and no one wants to be left homeless. Some home owners believe the sheriff will come by unannounced and kick them out at any time. There are federal and state regulations that your lender has to follow before selling your home. It is usually an extended process that takes around 3 months from the start of the foreclosure. 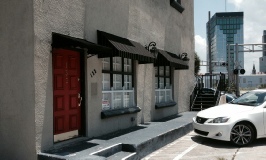 The lender is also required to give you two weeks notice of the home’s auction before it takes place. 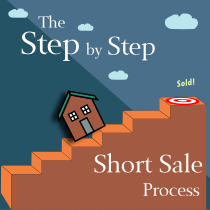 The sale of the home is not something that will sneak up on you. Use a realtor to list the home for sale for less than what you owe. 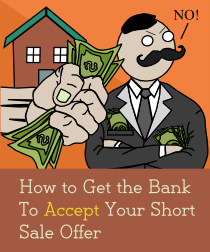 If the lender accepts, the home can be sold. This situation is best if you can obtain a deficiency waiver prior to the sale. Give the house to the lender as long as they agree to void the mortgage and debt you owe on the home. This is also best with a deficiency waiver. 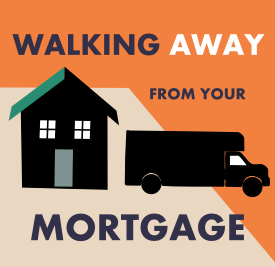 If you are looking to walk away from your home why would attempt to get a loan modification? Having paperwork that shows you attempted to negotiate a loan mod may help if you ever decide to purchase a home in the future. Showing the new potential lender you did everything you could to help your situation may help get your loan approved. Depending on the type of bankruptcy you file, it can help get rid of any unsecured debt that resulted from the foreclosure. Also, filing for bankruptcy can place an automatic stay on the home for 2 to 3 months. This can go hand and hand if you decide to stay in your home while it is in foreclosure. A home foreclosure will stay on your credit history for 7 years just like any other debt. Even though a foreclosure will most likely take a large chunk out of your credit score, it is still only one “not paid as agreed” debt. If you manage to keep all your other credit history in good standing, your credit score can begin to recover within 2 years. A HUD counselor will help you better understand the potential ramifications of the actions you take. From the time you miss a payment to the time the house is sold at auction, you are not paying a mortgage. There is usually an extensive period of time before eviction takes place and many people do not know they can take advantage of it. You can save money to use toward finding a new place to live. How Long will a Foreclosure Affect Your Credit Score? You don’t have to leave your home once foreclosure begins.